Game developer Compile Heart unveiled the first game for their Galapagos RPG brand. Titled, fairy fencer f, the game is labeled as a fantasy RPG for the PlayStation 3 and will utilize the talents of concept artist Yoshitaka Amano, composer Nobuo Uematsu and the Earthbound Papas, and the Hyperdimension Neptunia team. Galapagos RPG, a new "niche" Japanese game brand, teased its first project. In the game, players will take the part of the male protagonist (apparently a first for the Neptunia team), Fang, and his quest to collect mystical god-power-imbibed weapons known as Furies. The battle system will be built around the Hyperdimension Neptuna model with additional features like the ability to knock enemies into the air for aerial combos and rush attacks called "avalanche attacks." The developers spoke to Weekly Famitsu where they reiterated their stance of focusing in on fans who appreciate the games they make and stated that fairy fencer f is a game that they hope will "accommodate customers who like us" even if it means disregarding a broader audience. 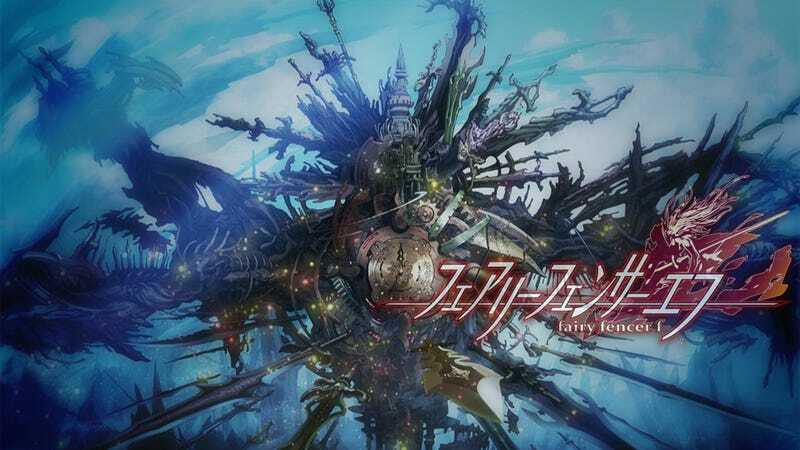 The developers have not yet revealed what will make fairy fencer f specifically target "Japan's particular customers" more than the average JRPG. Hopefully we'll find out what will make this game so niche in the coming days. fairy fencer f is scheduled to come out some time this year. No word on an international release, but if their mission statement is true about focusing on Japanese fans, it's likely there won't be one.